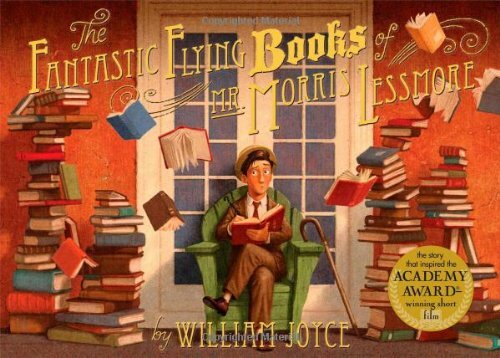 The Fantastic Flying Books of Mr. Morris Lessmore is a very sweet and endearing book that brings together book lovers of all ages. Mr. Morris Lessmore loves his books, but when he loses them in a terrible and cataclysmic storm he is brought to a terribly low place. When he witnessed a woman walking with what appeared to be flying books on a balloon string he was so happy. He soon finds a hidden library that houses broken books in need of repair and finds himself happy to take on the position of mending the broken books. This fun and interactive book is found in Ebook, paperback, and hardcover. It blends the beauty of storytelling with interactive applications and the beautiful and enchanting written words. The beauty has also been shared in the form of a short film. This book is one of the great things to come out of the adaptations of e-readers. It brings joy to all who read it and helps to bring new readers by intriguing them with both an interactive book app and glorious book. 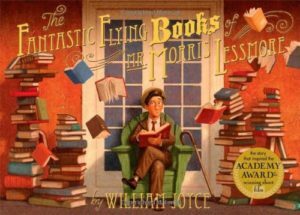 This entry was posted in reading and tagged book lovers, Books, ebooks, fostering a love of reading, paperback, Reading, the boys store, the fantastic flying books of Mr Morris Lessmore on July 1, 2018 by Lacy.